Currently 1 in 7 couples have difficulty conceiving and Acupuncture is increasingly being used successfully to assist with IU (intrauterine Insemination) and IVF (In-Vitro Fertilisation). IVF is suitable for women with absent, blocked or damaged fallopian tubes, it is also recommended in cases of unexplained infertility. Transfer of the embryos back into the uterus. It is generally recommended to start Acupuncture three months before commencing IVF. After detailed assessment we will work with the menstrual cycle and lifestyle to increase blood flow to the uterus which will increase the quality of the eggs, the endometrium and cervical mucus. In addition, the treatment will increase blood flow to the uterus and the ovaries which will enhance follicle quality before extraction. It will also ensure that the environment is healthier for implantation. Researchers discovered that certain neurotransmitters may be released during acupuncture that affect pituitary gonadotropin secretion, ovarian follicular growth, fertility, and ovulation. According to the results, “Acupuncture administered on the day of ET (embryo transfer) significantly improves the reproductive outcome in women undergoing IVF or ICSI treatment for infertility. The rates of positive pregnancy tests, clinical pregnancies, and ongoing pregnancy or delivery were all significantly higher than those in the control group. Acupuncture is also highly effective for ensuring good quality, free flowing sperm. 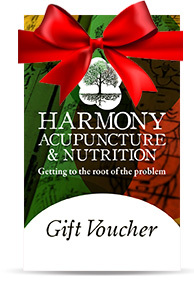 Here at Harmony Acupuncture we have had excellent results from our Fertility Treatment.